The next and last stop on the American Peony Society 2018 Convention Tour was the Portland Rose Garden in Portland, Oregon. While there were some roses blooming, I wasn't as impressed with the rose garden as I'd expected. Maybe it was because we were just before their peak bloom season. So most of their roses weren't open yet. Or maybe it was because I thought the garden would be larger than it was. Or maybe it was because the tour we were on was guided, and we didn't get to see the whole thing, only the parts our tour guide took us too. Our tour guide was very nice and seemed quite knowledgeable about the garden. She told us about how they kept a garden of every rose that won the Rose Society's yearly award. She told us about how they had a Rose Festival every year, and there was a Rose Queen crowned each year, a young lady who is judged on intellect and contribution to society instead of her physical appearance. Our tour guide also told us about their spray programs at the rose garden - both insecticides and fungicides to keep the bugs and rose diseases at bay. It was all quite informative, but I do much prefer peonies to roses. Even though peonies' bloom season is much shorter than roses, they do not require all of those chemicals to keep them looking nice and pest free. 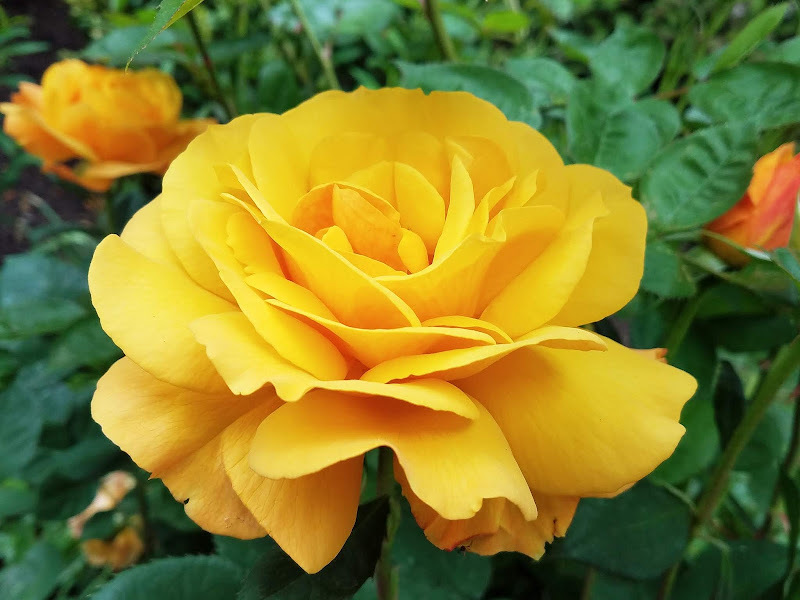 I think I'd like to visit Portland Rose Garden again sometime in the future during their peak bloom season to see more of the roses in bloom and have a chance to explore the garden in whole on my own, at my leisure. It seemed like a nice place to visit, a public park that anyone can go to visit at any time for free. What a nice benefit for the citizens of Portland. I was also told that many marriage proposals and weddings happen in the Portland Rose Garden as well. How lovely! 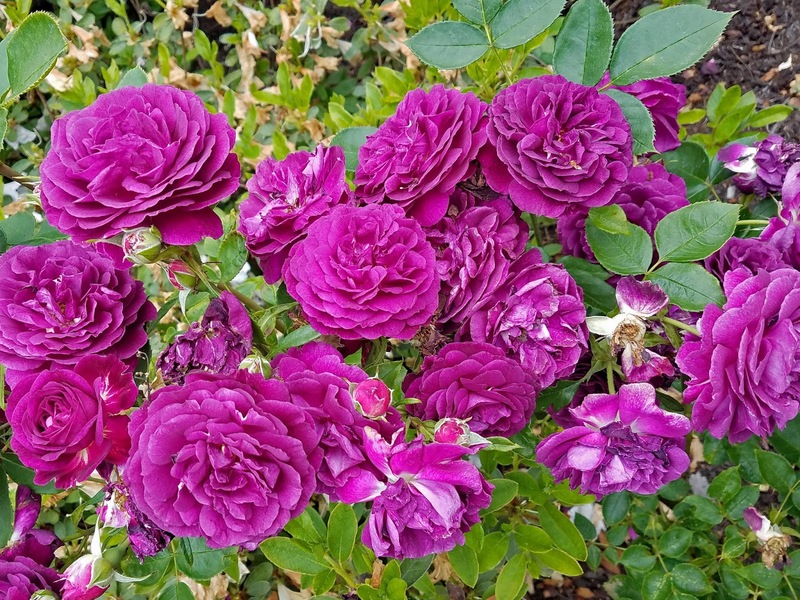 Please Note: The rose photos included in this article are actually ones I took during the 2018 American Peony Society Convention Sebright Gardens Tour. I forgot my camera (and phone!) on the tour bus during the Rose Garden Tour. So I wasn't able to capture any photos at the Portland Rose Garden.